The Beatles Through The Years: Yoko Ono: Love Her or Hate Her? 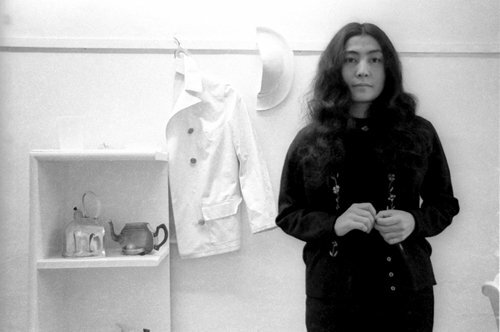 Yoko Ono: Love Her or Hate Her? Yoko Ono is like the British condiment Marmite with Beatles fans, you either love her or you hate her. There seems to be no in between. Yoko Ono is an artist in her own right, her conceptual art was being shown on the BBC before she met John Lennon and her fame and, to some, infamy, exploded worldwide. She has, perhaps unfairly, been a synonym in popular culture for breaking up something good. For example, any woman who comes in to a gang of guys and diverts their attention is referred to as Yoko. We recently conducted a poll on our twitter to find out how many love Yoko and how many don't. The final results of the poll of 10 votes were 40% Love Yoko and 60% Hate Yoko. Why so much hate? Perhaps feelings still run high in fans that she did break up the Beatles? That John fans feel that she had some sort of hold on John? There are some who are undecided. As for us? We feel she's part of the story, the legend of the Beatles and John Lennon and that's something to be proud of, isn't it?